Today, my baby boy turns 5. I realize that 5 is decidedly un-baby like in age, but to me, as clichéd as this sounds, he will forever be my baby. My little guy who changed our life, both surprised and terrified us, and who gave us a reason to have faith and hope. Thinking back on his birthday, and if I am being honest, the entire year of 2007, is at the same time difficult and heartwarming. But I can’t help but think of it, and almost feel as if that life, these events, belonged to different people. But then I look at my little buddy, and I know it was us. I am and will always be forever grateful it was us.On August 22, 2007, my husband underwent surgery to remove a mass found by his doctors. This was following months of him being sick, and, well, just off. Going into the surgery, his doctor’s were optimistic that the mass hadn’t turned into anything scary (dare I say the ‘C’ word), so we hoped and prayed they were right, and that this surgery was just that; a preventative action. That being said, it was a major surgery. One without a clear outcome. It wasn’t until the doctor’s opened him up, that they were able to get a clear picture of what was going on, and in turn, what would need to be done. In the pre-op area, I held his hand, kissed him, told him I loved him and that I would see him soon. I was terrified. A surprisingly short amount of time later, I (along with my parents, Mother-in-law, Aunt, and Brother-in-law) was called back to a room to talk to the surgeon. I was immediately nervous. Other families had been approached directly in the waiting room with good news and words of encouragement from their doctors following their loved ones’ surgeries. Why were we being pulled into a room? What was going on? It was almost too much for my 25 year old, 7 month pregnant self to comprehend. My husband’s surgeon immediately assured us that the surgery was successful, and my husband got through it just fine. I sensed the other shoe dropping. Upon removing the mass (and with it, a 3rd of his colon), the doctor told us, with the confidence of a surgeon who has seen these cases countless times before, that what he removed was, in all probability, a carcinoma. Carcinoma? The word rattled around in my brain before finally settling with an oppressive weight at the base of my scull. Cancer. He has cancer. He was 27 years old. How could this be? I broke down. I can’t lose him. I cried, sobbed, heaved. The surgeon talked on, in kind, but direct words, most of which I can’t remember. I couldn’t focus. I was so grateful (and still am) to have had my husband’s Aunt with us. She, being a nurse, had the wherewithal to ask the questions the rest of us couldn’t quite form. When the doctor was finished, I pulled myself together as quickly as I could, because I was told he was in post-op and I could go see him. Get myself together enough to see him, kiss him, and not scare him. He wasn’t in any shape to be hearing this yet (as he was barely out of anesthesia). It was later in his room, that I spoke to him. With our family there, and told him what the doctor had said. His reaction was so calm, so classic him, “Ok. What do we have to do?” Very matter of fact. Seemingly not scared (although I still don’t know how he wasn’t bone chillingly terrified like I was). I fell in love with him even more. We wouldn’t know for until the end of his weeks stay at the hospital, the results of the pathology testing. Was it cancer? Had it traveled to his lymph nodes? We waited. The middle of the week marked an important appointment for me, albeit, an annoying one. One I went through with the surly attitude only a 7 month pregnant girl with a sick husband can really muster. 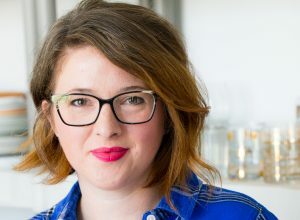 I had been diagnosed with gestational diabetes (yeah, I know, right?) and I was due to get my blood sugar meter, and be taught all about what I could and could no longer eat. So, after that lovely appointment, one in which my mom went with me, and during which, also (graciously, I might add) pretended that I wasn’t acting like a brat to the nurses (bless her heart), I was on full blood sugar checking mode. Eating my little snacks. Checking my sugars. Eating in the hospital cafeteria (yum). Checking my sugars. Stressing out because my husband had a terrible night and was in incredible pain. Checking my sugars. Then stressing out that my sugars were high. Stressing out about the fact that the stress caused the high sugars. Let me tell you, I was a real treat to be around. Yikes. At the end of the (very long) week, our fears were confirmed. He truly did have colon cancer. And all the doctors were pretty much shocked by it. Here is this (on the surface anyway) healthy, fit 27 year old guy (kid, really) with colon cancer. It just didn’t add up. But it was what we had to deal with. So we dealt. He would have to go through about 6 months of chemotherapy. 3 days, every other week. He was scheduled to start September 17. This would give him enough time to recover from his surgery and have a port surgically implanted near his collarbone, through which they would administer his chemo drugs. The next couple of weeks were a bit of a blur. Trying to juggle taking care of my husband, who was and is, by all definitions the toughest person I know, and my own pregnant self. It was up to me to take care of our baby. Still counting carbs. Checking sugars. Counting kicks. Checking sugars. The works. As my husband recovered from surgery, things got a little easier. We continued to get ready for the baby. We had had an early baby shower (beginning of August), and my due date was still a ways off yet (October 28). So, in my mind, we still had some time to finish details. 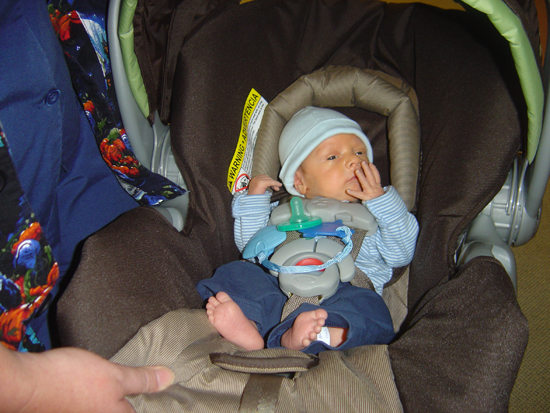 A couple of weeks after his surgery, my husband was able to drive again (much to his relief), and on the night of September 10, he drove us to our very first child birth class. What a treat that was. We were greeted by a woman who informed us that she was not, in fact, our regular teacher. She would be joining us only for that night, and in a weird turn of events (or really, I’m convinced, just to mess with my head), had decided to show us the full-on birthing video the first day of class. Apparently, they normally reserve this visual treat for the second or third week of class, but we must have had the look of advanced students, so she decided to throw us directly into the lion’s den. Now, I realize that what the female body can do, to bring a baby into this world, is incredibly impressive. And childbirth, as a concept, is in fact, a beautiful thing. However, I don’t care what anyone says, watching a strange woman (and can I add, an extremely naked, strange woman) give birth, is not, in fact, something I find visually appealing. In any way. More like horrifying. There are just some things you can’t un-see. So, after our informative, and somewhat traumatizing class, we headed home. Despite the content of our lesson earlier, we felt lighter than we had in weeks. We decided to kick back that evening, munch on some low-carb fudgesicles, and catch up on our taped episodes of ‘The Pickup Artist’. Yes, I know, not deep television, but man, it was entertaining. After our episodes, I checked my blood sugar one more time, and then we waddled (well, I waddled, he walked) off to bed. I woke up with a start, not knowing exactly what time it was, with a feeling that I had almost, but thanks to my quick reflexes hadn’t, wet the bed. Holding tight, I hopped out of bed, glancing at the clock to see it was 4:05 am, and hurried off to the bathroom. This was getting pretty routine, these frequent and sudden trips to the bathroom. What wasn’t routine, however, was the gush that followed when I sat down. Something was wrong. Something had happened. I looked down, and all I could see was blood. Fear, terror, chills all slammed into me at once. I found my voice and screamed for my husband. Who in a matter of seconds came slamming into the bathroom, only to see what I saw. Blood. Not what you want to see when you are pregnant. Or anytime, really, let’s be honest. He (although, I could tell he was as terrified as I was) calmly told me to not look down, and to remove my soiled clothes. He quickly through some crumpled new clothes on me (I wasn’t a stickler for really putting my clothes away, so a quick grab from the floor, and I was dressed and ready to go). We hopped into the car, and he drove like he had never driven before. After conferring with the on-call doctor, they determined that my water had broken and due to the amount of bleeding that I was experiencing, my baby was going to need to be delivered today. I was terrified. It was too early. They transferred me to the labor and delivery room, and after poking around a bit longer and performing an ultra sound, the doctor informed us that she was concerned at the amount of bleeding I was experiencing, and didn’t feel it was wise to increase my contractions, and felt it was better to perform a C-section to get our baby out ASAP. Frankly, as scary as this whole thing was, I heaved a huge sigh of relief. I had, after all, less than 12 hours before, been shown the ‘ugly truth’ about child birth. Needless to say, the word ‘Cesarean’ was music to my ears. My husband was given a set of scrubs, and a disposable camera (how pathetic to be at the birth of your first child and not have anything with you but the clothes on your back?). This was definitely not how I had planned it. But I was so grateful for that little camera. It captured what I never would have been able to get back. 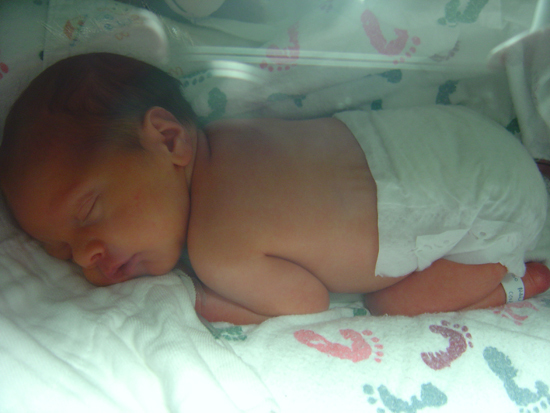 A nurse from the NICU came down to explain to us what to expect after he was born. He was early, but his chances of being healthy were very good. They rushed me to the operating room, transferred me to the table, stuck a needle in my back that felt like a bee sting, and lay me down. Minutes later, the doctor asked me “Can you feel this?” Feel what? “No”, I answered. “I’m pinching you pretty hard, are you sure you don’t feel it?”. “Nope, I’m sure”. Less than a minute later, I hear “head’s out”. Then, his cry. His strong, shockingly loud cry. It was the best sound I could hear. They brought him around to the side so I could see him. I will never forget his little body. My red, screaming tomato faced little buddy. He was amazing. He was born at 7:11 am and was 4lbs 14oz 18inches long. Big for being so early. Strong, and so incredibly cute. I got to see him one more time in my recovery room. They brought him in on his way to the NICU, but I wasn’t able to hold him. It broke my heart, but I knew he needed to be taken care of. 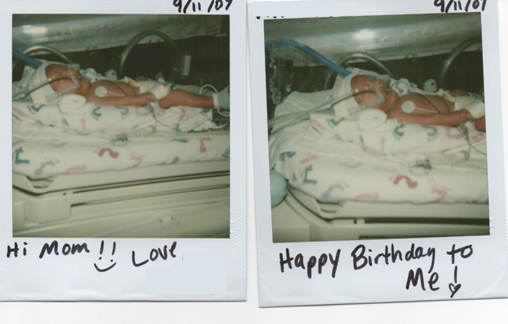 My husband brought me some Polaroid’s taken by the nurses in the NICU. 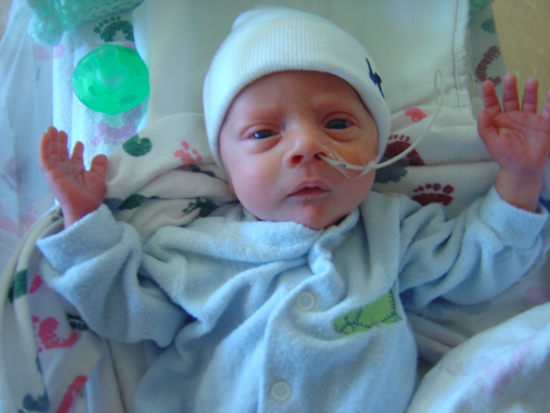 I hung them above me bed, and counted the minutes until I could get out of my bed and get to the NICU to see him. At 4 o’clock, I had regained feeling in my legs enough to stand, and then immediately sit in a wheel chair in order to go see my new little man. I will never forget holding him for the first time. While the tubes, wires and such weren’t exactly what I had pictured when dreaming about holding him, I knew he was there, safe and taken care of. We were and are extremely blessed that he was healthy. He needed minor and temporary support, and in less than a week, was moved to a step down room. He simply needed time to grow. To learn to eat and breath at the same time. The things instincts that full term babies are born with. Leaving the hospital without him, was to this day, the hardest thing I have had to do. A piece of my heart was missing. How I envied those mom’s, waiting their in their wheel chairs, holding their baby carriers full of their new bundles of joy. While I stayed until they basically kicked me out, and left (in my giant robe, by the way) at about 11:00 at night. Only to return 2 hours later to visit him again. Over the next four weeks, things got better. He got stronger, and closer and closer to going home. My husband started his chemotherapy. Our little baby boy was the light in our day. Holding him was a balm on our hearts. We hoped and prayed that everything would be ok, and with him there, we were truly able to believe it. To this day, the doctor’s are not sure what caused him to come early. I could have been the stress of my husband’s illness. But in my heart I know that God sent him to us early, to give us a reason to hope, a reason to fight. Our little guy needed us. We wouldn’t give up. We brought him home three days shy of his one month birthday. It was pure joy. Happy Birthday, to my sweet baby boy. I love it. I was I tearing up. Thanks, Diane. 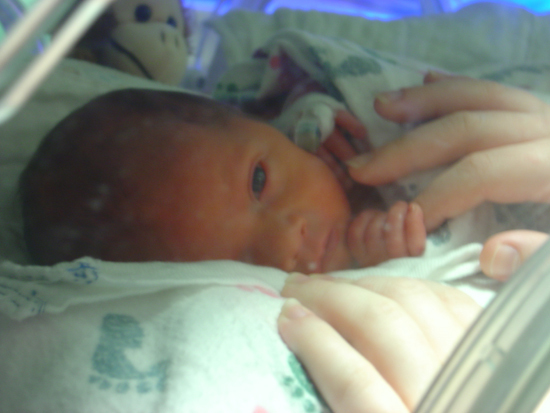 I have a really hard time looking back at his little pictures from the NICU and not tearing up, too. I think it’s so great to hear stories of preemies that have grown up and lived such wonderfully normal lives, that I wanted to share our story to maybe lift someone else. I’m so glad you enjoyed it and I really appreciate you stopping by and saying hello! Hope to see you around here again, soon!